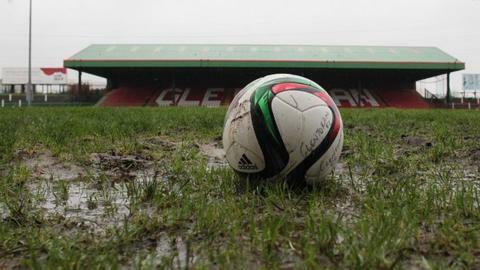 The Irish Premiership Boxing Day game between Glentoran and Linfield at the Oval has been delayed by one hour until 16:00 GMT. The delay was to allow the pitch at the East Belfast ground to receive further attention in order to recover from the heavy rainfall of recent days. A final precautionary pitch inspection was held at 15:00 GMT. The other five Premiership matches scheduled for Saturday will be played at 15:00 GMT as planned.